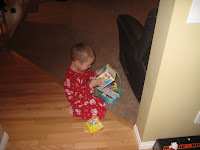 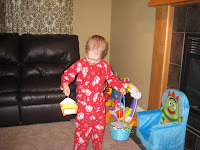 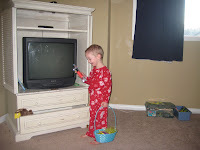 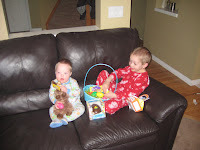 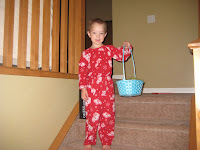 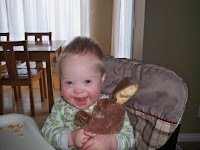 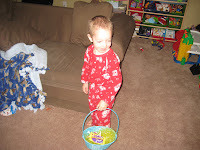 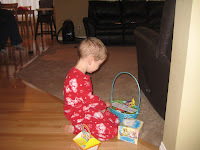 Talon woke up bright and early Easter morning, bursting into our room exclaiming "the Easter bunny came last night!" 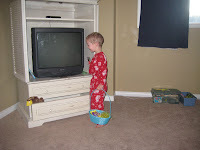 So we got up and started the hunt while Tommy stayed asleep. 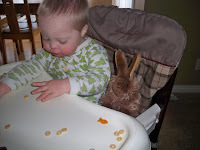 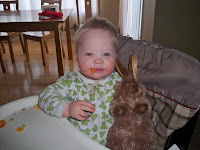 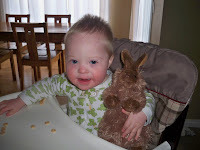 We thought the bunny was funny because it's a cross between a bunny and the gopher from caddy shack. 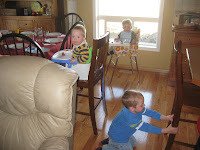 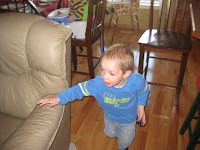 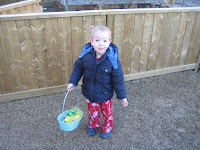 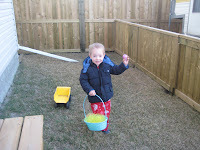 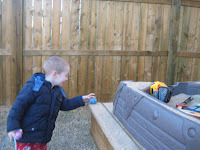 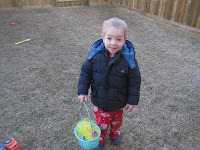 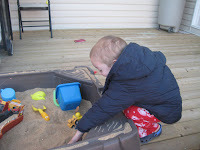 I didn't take very many pictures here, but they also had an Easter egg hunt at their Grandma Cranmer's Sunday evening. 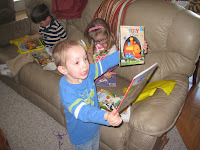 What fun pictures. 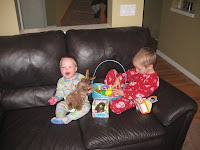 You can really tell the boys loved it.